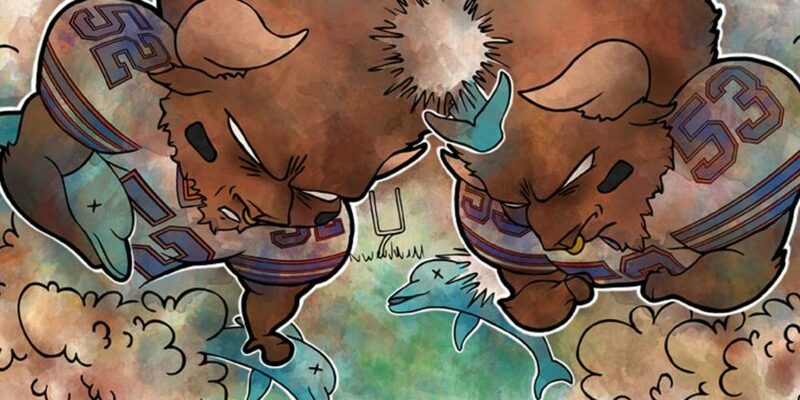 The Buffalo Bills are facing the Miami Dolphins for the first time this season, on the path of possibly winning five games in a row! How exciting is that?! Preston & Zach Brown are great assets to this Buffalo Bills defense, both leading the team in tackles combined to earn 121 this year so far. Buffalos hopes they continue to keep up their efforts in week 7 against the AFC East Division rival, Miami Dolphins. On the other hand, Miami just came back from a win against the Pittsburgh Steelers defeating them 30 – 15. While the Bills scored the most points in week 6 with the biggest lead defeating the San Francisco 49ers 45 – 16. The Buffalo Bills are the second highest scoring team in the NFL with 162 points for, right behind the Atlanta Falcons with 199 points for. Can the Miami defense hold up the powerful Buffalo Bills? We will find out at 1:00pm EST today! Take a look at some of the sketches as the process unfolds! 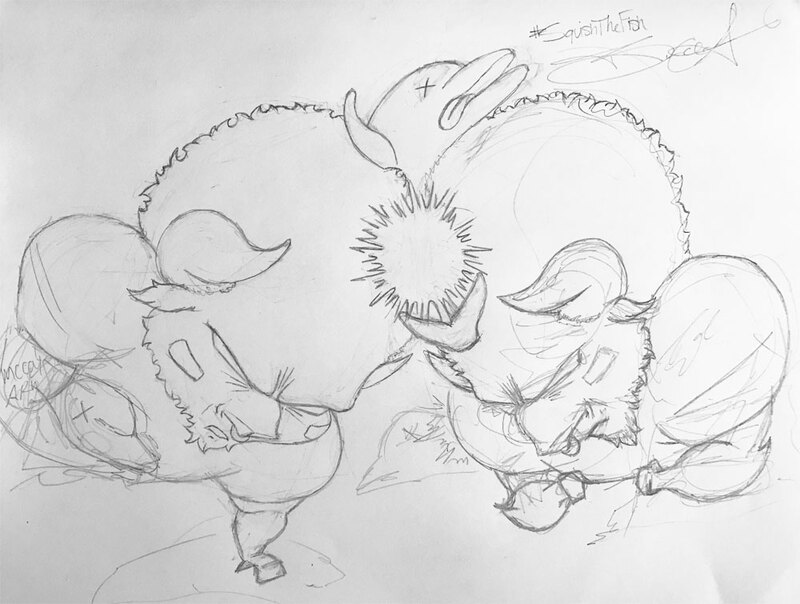 Sketch of the Buffalo Bills art illustration for week 7 of the 2016 NFL season. Biondo Art uses the trusted PayPal form for transaction purchases. 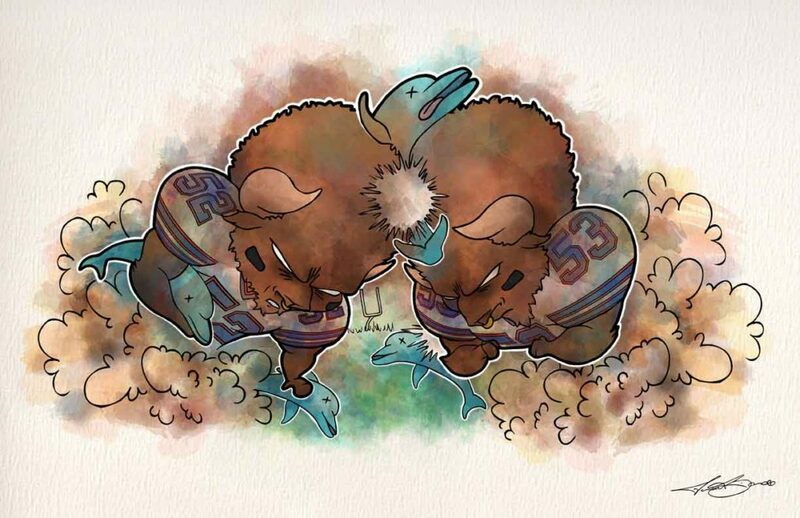 Get your chance to own signed prints of Buffalo Bills art today, right now actually!